SARNIA, Ont. — A police officer in Sarnia, Ont. has been charged with two counts of criminal harassment. Police say they made the arrest Friday night in connection with a domestic incident in nearby Pt. Edward. 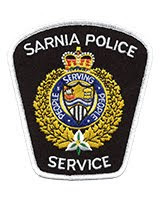 Earlier, provincial police said a 46-year-old Sarnia man was arrested without incident. They said they would not be releasing the name of the accused in order to protect the identity of the victim. Police say the alleged incident dated back over the past several weeks.